Recycling is a very important part of waste management as not all rubbish can be dumped easily without having a significant impact on the environment. 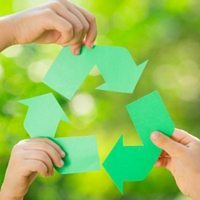 There are so many things that can be recycled and recycling them can significantly reduce environmental hazards. In fact, the reduction is far bigger than you think. When you hire skip bins to eliminate rubbish, recyclable items are sent to the proper facilities so that they can be reused and this alone effectively reduces environmental hazards. These items will be used once again as a material to create recycled products, significantly reducing not only the environmental hazards but also the production and material costs. Take for example the glass bottles. Instead of gathering materials to create a new one and then transporting them to the processing plant, recycled bottles can be used instead, eliminating the need to start the manufacturing process from the top. That means there will be less pollution from transporting materials and from factory plants. In addition to that, manufacturing costs are also significantly reduced because there will be fewer steps needed to create a finished product. That’s why during any large clean-up or renovation project, hiring skip bin companies are important. You don’t only make waste management easier, you can also help recycle unwanted items. Next time, before you begin a clean-up or renovation project, organize your waste into recyclable and non-recyclable items. This will make waste management easier as you can easily decide whether a certain item should go to the bin or not. You can take them to a recycling facility yourself or have the skip bin company assist you with it.